The following blog post will walk you through how to use Azure Functions, Twilio, and a Flic Button to create an app to trigger calls/texts to your phone. 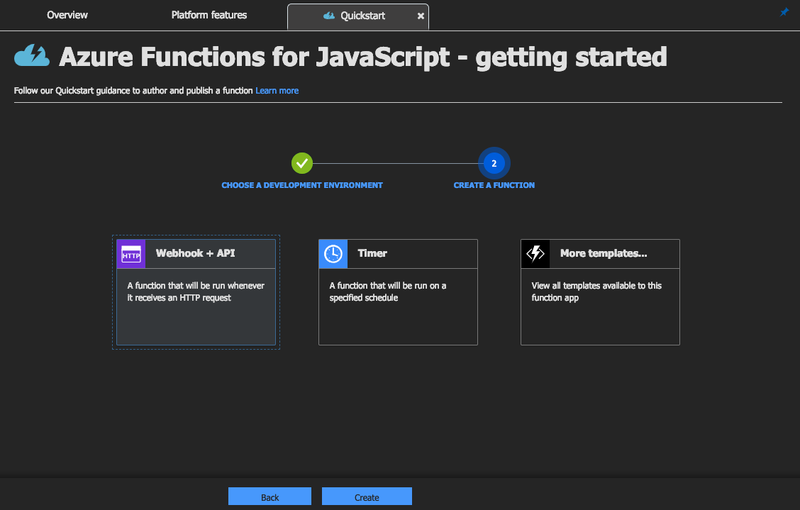 If you’re looking for a quick summary and overview on Azure Functions, I recommend starting here with our documentation, or taking 4 minutes to read in more detail how to create your first Azure Function, so you have some context on how to use functions within Azure. If you’d like to skip straight to the code, scroll down to the Let’s get to the code!​ section below. I think this visual says it all. Remember… I have a theatre degree. I’m very good at convincing people I’m not internally screaming inside 😐. I see my extroverted-ness almost like a button I can turn on and off depending on the situation… which is a great segue into the device I’ll be using to showcase how I built this. When deciding to take on this project, I considered several different devices to build my project with.​​ At first, I pictured it as a wearable.​ I reached out to Sara Chipps and Jennifer Wadella to see if Jewelbots’ capabilities would work for my use case. Unfortunately, while very fashionable and fun, the range of the devices is limited (but if you have a young girl in your life- get them one of these. Very cool, fun way to learn programming!). I also considered FitBit as an option, but had concerns over folks thinking I was triggering my functions through it right in front of them. I needed something that was small, subtle and able to fit in my pocket. 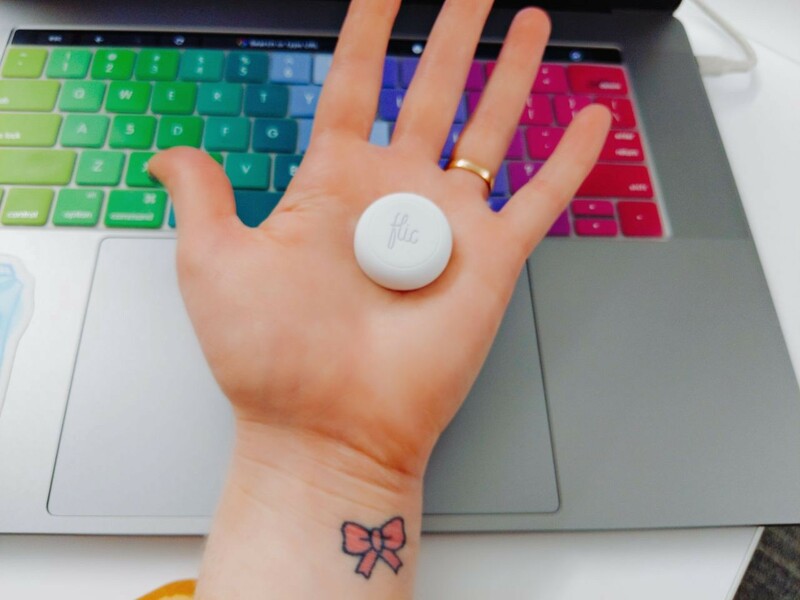 So, the winner is… a Flic button! What’s a Flic button? Great question! It’s a small button (about the size of a quarter) that acts as a Bluetooth Remote for iOS and Android. You can program these buttons to do anything from turning on Smart lights in your home, controlling music, taking photos, sending texts, making calls, posting tweets, calling Ubers, etc. Flic has many pre-built integrations and apps you can use within their app, ranging from sending a tweet to triggering a MP3 to play a laugh track (I may or may not have set up this specific example to bug my boyfriend in our apartment for when I tell bad jokes). Suz Hinton sent me a Flic button for our mentorship sessions a few months back for an Azure exercise, and once I learned how to connect it to an Azure Function, I knew I had to build something fun with it.​ While the Flic button does include a pre-built “fake call” feature in it’s app, it doesn’t actually create a call (you use a screenshot of a call, and it plays a ringtone sound). This is why using the Twilio API was necessary for this project, and how this blog post was born. And many more! 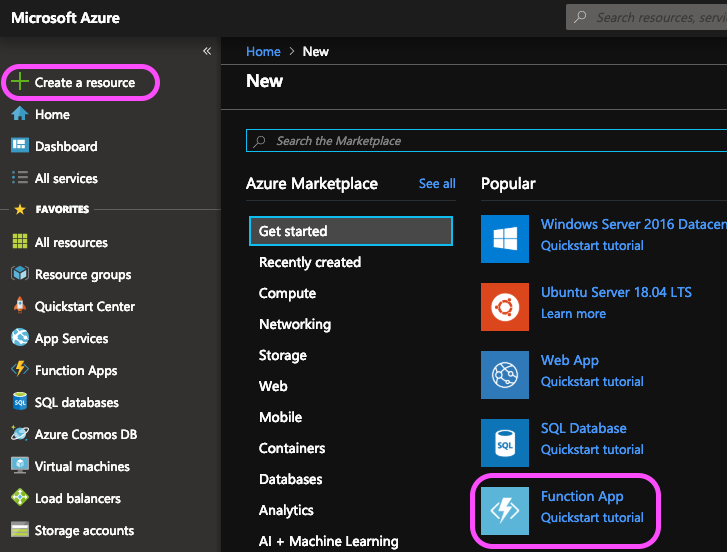 For a complete list, tutorials, documentation, and additional details of the capabilities of Azure Functions, start with the Azure Functions Documentation. If you haven’t played much with serverless/Azure Functions, I recommend starting with reading this Azure Functions Overview and completing this Create Serverless Logic with Azure Functions module to get a better idea of how all of these pieces fit together before diving into programming your Flic button. The Microsoft docs are a great place to get free resources and lessons on how to get started! Alright- let’s review our goals! Seriously, he’s real. I promise. ​For the sake of easy to understand visuals/screenshots I used the Azure portal to create this. 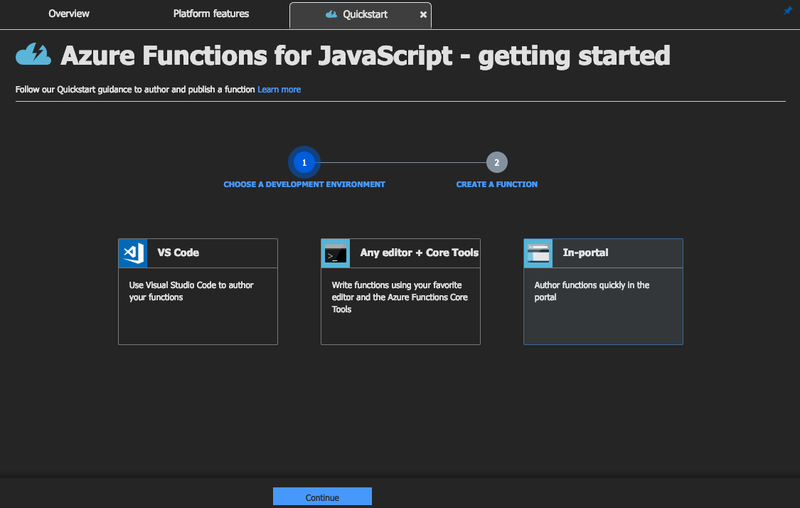 You can also use VS Code, the Azure CLI, etc.​ With Azure Functions you are given the the ability to code and test Functions locally on your machine without having to deploy to the cloud every single time you want to test (a huge time saver!). 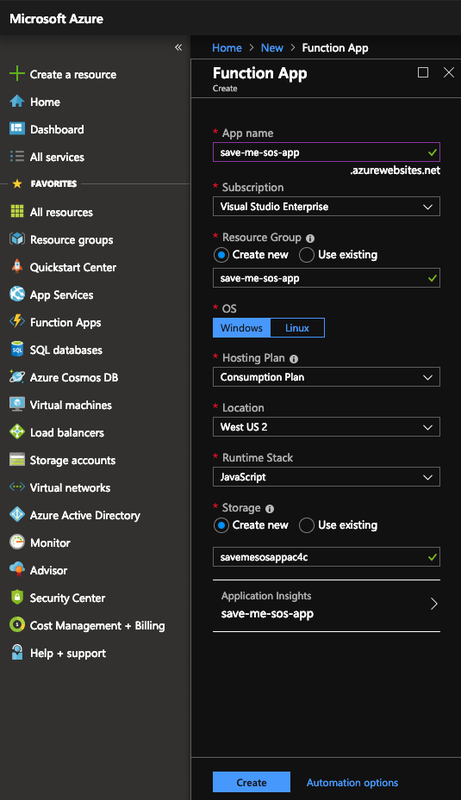 To create an Azure function, you can just start from the Get Started menu and select (surprise!) Function App. For this example, I’m selecting In-portal. My boyfriend Ty Smith works full-time as an Android Developer at Uber, and is an Android GDG and GDE, and also travels for conferences as well. Needless to say, he’s a busy guy and I didn’t want my app to call him, because maybe he’d be in a meeting/at dinner/playing the new Resident Evil game, and I wouldn’t want to disturb him (also, testing this would have been a bit of a nightmare- example can be seen in this Twitter thread). Frog puppet reenactment of me trying to test this with Ty. He’s really handsome, right? We met online. I have 2 Azure functions I needed to create and call. One for the call, and one for the texts. Please note: it’s okay to hardcode your Twilio credentials when getting started, but you should use environment variables to keep them secret before deploying to production. Check out Frank Boucher’s video on How to use Environment Variables in Azure Functions for a great 5 minute tutorial! You’ll probably notice that this function sends a text to me vs to friends/coworkers at a conference. For the sake of this demo, I’ve made it so the code texts me so I can show this off in-person when I demo this on stage (plus, you’ll annoy less folks with test texts while debugging… again, you can learn more about that in this Twitter thread 😬🤦‍♀️). But obviously, you’d replace these numbers with the numbers of your friends you wish to alert. The code for our phone call trigger is pretty similar except we’re making a call, not a text. You’ll also notice that I’m linking to something here.​.. let’s take a look at what that link is hosting. As I mentioned earlier, one of the reasons I decided to use Twilio was to be able to have a real call come in on my phone. Twilio also gives us the capability to use TwiML to compose voice messages, as well as do things such as, oh, I don’t know… play an MP3 of Rick Astley perhaps? Obviously, you can record your own voice message MP3 (I’ve included several samples of my own voice as your cousin/partner/friend in the repo). 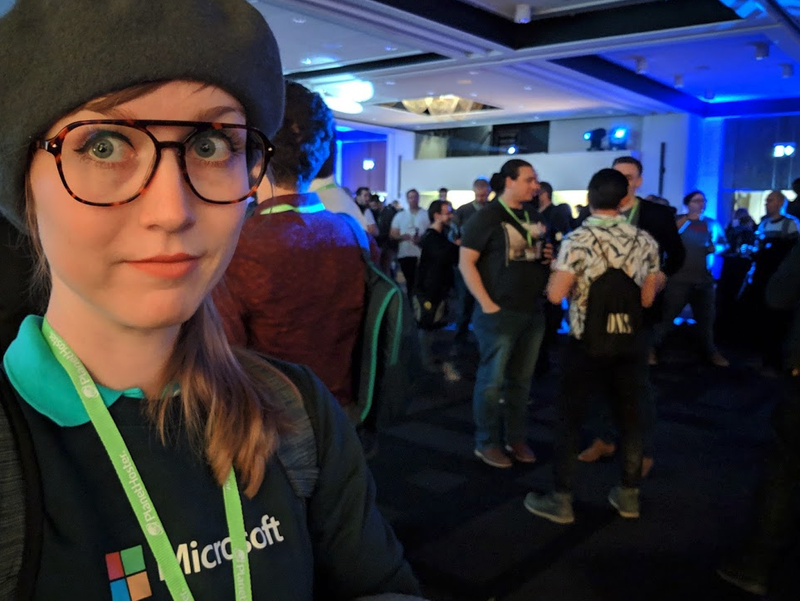 You can take a look at Microsoft’s documentation on how to use Twilio for voice and SMS capabilities from Azure if you’d like to dive deeper into TwiML, or have more questions about configuring your Application to use Twilio libraries. Now we can incorporate our Flic button. Here’s what the Flic app looks like (left). For the sake of time, I won’t walk through every step, but essentially you just add the URL of the Azure Function and click save. Flic’s app is very straightforward, and will require a simple copy/paste of the https link we created with our 2 Azure Functions. As I mentioned before, I wanted to configure one of my Functions to text other people (for it’s actual use case), but I can’t really demonstrate/test that well on my own. So with this demo, my fake boyfriend is going to be texting me. So, that’s the app! As you can see, it’s pretty easy to get up and running with Azure Functions! If you’d like more instructions on how to deploy to Azure, check out the GitHub repo here. There are so many easy ways to deploy to Azure, and you can read about them in more detail in our docs. Using simple Azure Functions just like this can open the door for a plethora of automation in your applications or even your personal life. 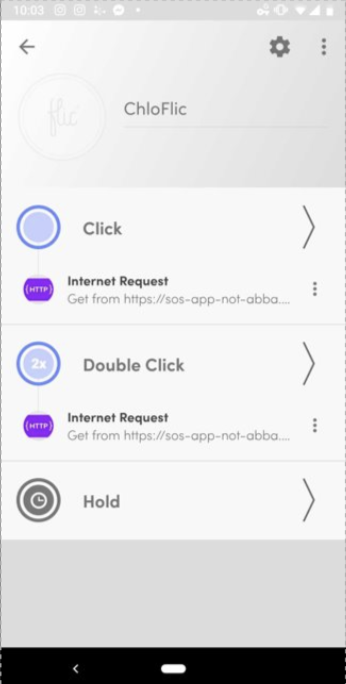 Anything from a button for your children to press when they get home from school (to alert the bus dropped them off safely), even starting a tea kettle in the morning so your tea is ready to go while you’re groggily getting ready for work, or creating a function to check a database in your app on a timed schedule. 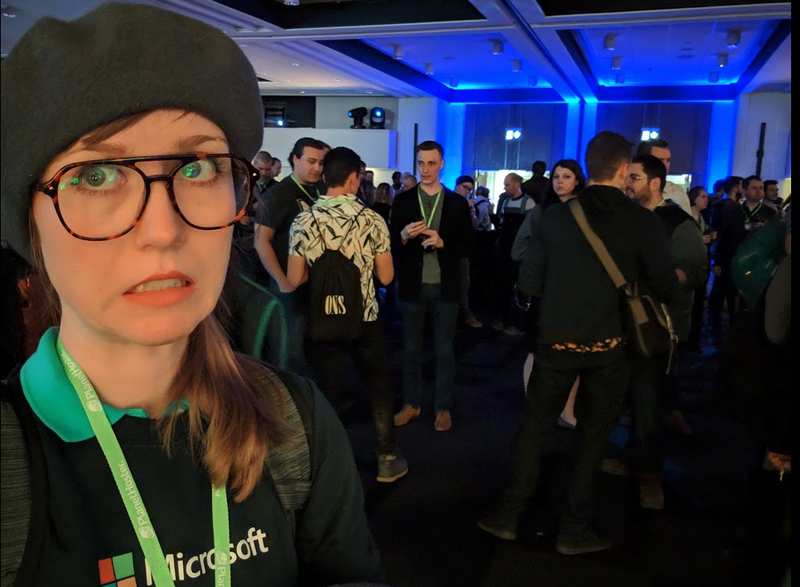 This particular Twilio demo was created just for fun, but think about how using Azure Functions in your applications or everyday tasks could automate things for you! Have any questions? Comment below, or shoot me a message on Twitter! Thanks to Suz Hinton and chanezon.